Seniors can dance at Cultivate! Get fit! Be Creative! Meet New People! 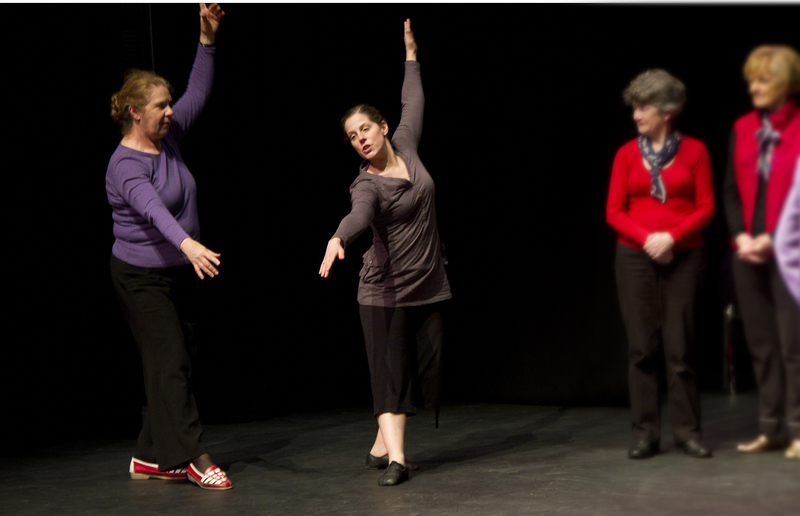 A workshop designed for older adults, in which participants are gently guided through dance sequences set to music. Class begins with a seated warm-up followed by standing and traveling sequences that incorporate elements of contemporary dance technique, Laban’s fundamentals and social dance, all the while focusing on maintaining flexibility, balance and co-ordination. This workshop is guaranteed to be fun, and is suitable for older people of all abilities (no previous dance training necessary). Please dress in comfortable clothing, sneakers or flat shoes. register for this class on Eventbrite! Alicia Christophi-Walshe (Dublin, Ireland) is an Irish-based dance artist originally from Boston where she graduated from The Boston Conservatory with a BFA in Dance. Alicia regularly collaborates with other dance artists, composers, and visual artists to create visually stunning and engaging work. Her choreography has been performed in NYC, Boston and Ireland at various venues and festivals, some of which include Dance New Amsterdam, Greenspace, OBERON, Project Arts Centre as part of the first Project Brand New, The Backloft, Courthouse Arts Centre, Riverbank Arts Centre, Longford Dance Festival and I.F.O.N.L.Y. Alicia’s work is generously supported by Dance Ireland, Culture Ireland and Wicklow Arts Office. Directions to Little River Studio:located at 40 Jodo Way, Bethlehem, NH. Driving: From Main Street turn onto Agassiz Road (also marked as Rt. 142). Take first left onto Cross Street, and first left onto Jodo Way. The studio is located on the top floor of the big garage at the end of the street. Parking is limited, along the side of road. Please be courteous of our neighbors! Scenic walking route: Walk through the grassy lot behind the Irving Station (2164 Main Street) to the edge of the woods. Watch your step for rocks and roots! Follow the short path down, and cross the foot bridge. The dance studio is up the stairs…look for the red door!